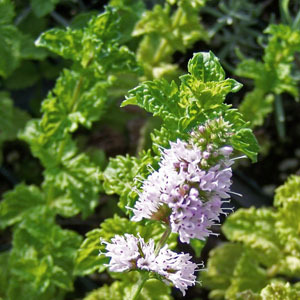 This is a spearmint variety, with small, bright green, crinkly leaves. The sweet scent has a nice hint of strawberries. Wonderful for tea, iced or hot.